It is no secret that originality in the entertainment industry is hard to come by these days. Every movie Disney has released in the last two years has been a remake or sequel and other studios aren’t far behind. The number of artists suing for copyright has surged and while there has been an increase in the creation of musicals, most are based on movies. Television shows are no different and it has gotten to a point where getting cancelled no longer means the show has seen its end. The newest show to get this treatment is ‘Drake and Josh’. Most shows that get issued a reboot or revival have been off air for a couple of decades but it has been ten years (and a bit) since Drake Bell and Josh Peck graced the screens of Nickelodeon on their self-titled children’s sitcom. The show ran from 2004-2007 and also released a TV film at the end of 2008. Even though it only ran for three years, thanks to reruns the memory of the show isn’t very distant in original fans of the show’s minds. 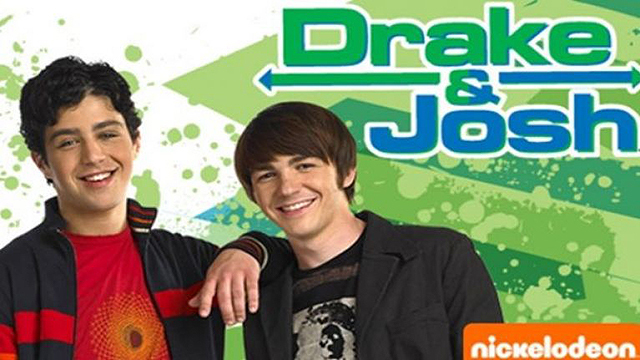 ‘PEOPLE.com’, who originally reported the reboot, said that a source revealed the show would be ‘more adult’ whilst Drake Bell told the publication it would be “way cooler than just,you know, the college years or something like that”. Humour matures with age so what these young adults found funny as children may not be funny now. On the other hand, if they change too many aspects of the show to make it more suitable for adults, the original dynamic that people fell in love with is at risk. Bringing a show back from the dead can be risky business as it is hard to tell how audiences will react. ‘Queer Eye’ is such a successful reboot that it is hard for many to believe that there was once a completely different fab five. ‘One Day at a Time’ is so loved that fans have been petitioning to stop Netflix from cancelling it. It is important to note that reboots and revivals are two very different things as a revival keeps the original characters and a reboot completely remixes the show. Reboots, such as the previously mentioned shows, offer audiences enough of a nostalgia factor whilst also providing enough originality for it to be appreciated and not be compared to the older version. ‘Drake and Josh’ falls into the revival category as the main characters are back. Revivals are often more highly anticipated than reboots but history has proven that they do not always live up to the hype. ‘Fuller House’ received lots of media coverage in the run up to its pilot but was later labelled predictable and unoriginal by critics.Rather than taking the good bits of ‘Full House’ and adapting them to today’s audience, the creators kept everything the exact same to the point where not even the furniture changed. Regardless of what the overall consensus of ‘Drake and Josh’ is once the show has aired, people will tune in as curiosity gets the better of them. Nostalgia is a powerful thing and it will hook people for at least a couple of episodes before a firm opinion is formed.